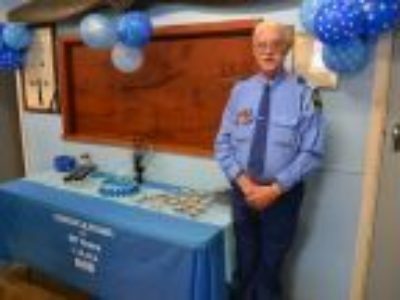 At the recent presentation evening for the Parramatta and City of Fairfield Squadrons of the Australian Air League, a milestone was celebrated for Gp.Lt Rob Robey of NSW Boys Group. 50 years ago Gp.Lt. Robey joined the Australian Air League as a young cadets, and in the past 50 years he has held a number of roles, including Officer Commanding of Parramatta Squadron and NSW Boys Group staff. Congratulations on this great milestone!